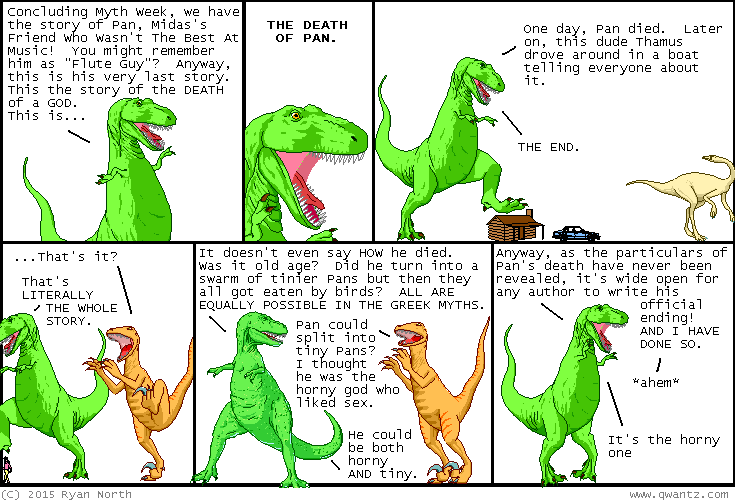 Dinosaur Comics - November 25th, 2015 - awesome fun times! November 25th, 2015: If you ever meet someone who studies Greek myths and they ask who your favourite character is, say "Thamus because he's good at boats" and you will instantly earn their respect, I PROMISE. One year ago today: it's a little thing called "nobody tells me rumours anyway??"